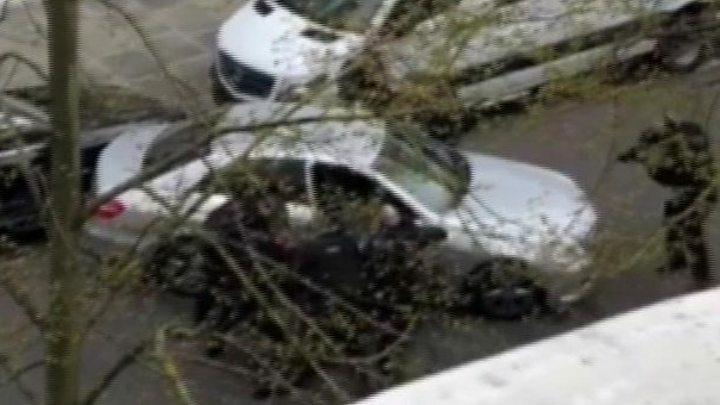 Eyewitnesses saw the man "ramming" the embassy car. Darcy Mercier, who lives across the road from the Ukrainian embassy, told the BBC the man arrived in the street around 07:00 and was "blasting music". "He sat in the middle of the street for over two hours. 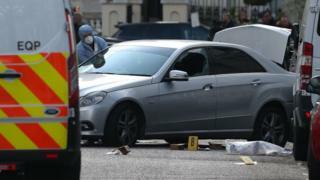 I was out on my terrace when he started ramming the embassy car," he added. Chief Superintendent Andy Walker, from the Met's Specialist Firearms Command, said: "As is standard procedure, an investigation is now ongoing into the discharge of a police firearm during this incident." Adding: "I would like to pay tribute to the officers involved in this incident who responded this morning and put themselves in harm's way as they do every day to keep the people of London safe."